We would like to empirically prove that adding manipulators (or noisy traders) to a prediction market built on the Ethereum infrastructure does not reduce average price accuracy, and that prediction markets will therefore be among the most manipulation-resistant. We will launch a prediction market on an output of a smart contract on September 30th, 2017. The contract will be simply and verifiably coded to output 5. We will then launch a separate prediction market where a specific set of users is rewarded if the average market price exceeds 5. The more it exceeds 5, the higher will be their reward. Therefore, manipulators are encouraged to try to manipulate the market upwards. From an honest trader's perspective, you can make a trade to bring the price back to 5 with a guaranteed return if the forecast is above 5. Therefore, our hypothesis is that the market will manage to keep the average market price at 5. Same as 1), except that instead of the simple output of 5, the smart contract will return either 0 or 10 this time, depending on the value of a random bit. We assume that the expected value will still be 5, despite the added risk. From an honest trader's perspective, you can make a trade to bring the price back to 5 with a positive expected value if the forecast is above 5. However, there still is a chance to lose your investment. We'll be launching two markets: one where the smart contract pays ethereum_blockchain_difficulty / 10^15 and the other pays just ethereum_blockchain_difficulty / 10^15 + 5. The manipulators who will manage to push the difference in prices above 5 will be rewarded. Assume that you know for a fact that CEO A will increase a company's revenue by $5 million. However, you do not know what exactly the company's revenue forecast will be, and therefore, how big of a part of the revenue can be attributed to CEO B. The difference of the two markets (CEO A and CEO B) should be 5, but if the price of market A turns out to be 17 and the price of market B turns out to be 10, you can not be sure whether 17 is the accurate price (this would mean that the overall company's revenue is forecasted to be at $12m since the CEO A attributes for $5m), or whether 10 is the accurate price since you do not have any information about the company's revenue. Same as 3), except that the difference of 5 in revenue that CEO A would add to the company is this time replaced with X that is only revealed to a select team. We will use an interactive protocol to commit to the constant so that the team members are convinced that we will input a value into the smart contract that can only be X. However, the protocol will be set up in a way that they cannot prove the constant X to others. From the insider's perspective, you **know that a trade exists with a positive expected value **if the price difference of the two markets is above X. However, it is not clear whether the price for market A is too low or whether the price for market B is too high. Same as 3) or 4), but we will randomize and privately reveal the direction in which the manipulators are being incentivized to manipulate. While in experiment 3) and 4), market participants are aware that manipulators had an incentive to manipulate the market upwards, i.e. to increase the price difference between the two markets, the direction for manipulation is not publicly known in this experiment. Here, only a select group will be informed about the direction in which the manipulators are being incentivized to manipulate. Through these experiments and general tools we plan to build at Gnosis, we aim to forge a solid platform for DAOs (and other types of organizations) to use Futarchy to inform and automate their decision-making. We hope to conduct the first cryptoeconomic experiment at the end of September and are looking forward to see the manipulation strategies of our community. Will you be able to beat the market? I copied the above from an upcoming blogpost of the experiments. For experiments 1-4 it is clear to me what exactly we are testing. How should we pick the "experts/insiders" for experiment 4? How representative can this be? Also - what are we testing in experiment 5? Especially experiment 3 with unknown incentives does not make too much sense to me. Because IMO the differences between the markets should never be >5 unless someone has the incentive. the manipulator gets payed - but only they know wether it is for a too high or too low forecast. In experiment 4 manipulators are getting payed to increase the distance between the two prediction markets and make the difference bigger than X. In real life this corresponds to the situation, where people know that CEO A will affect the revenue by X in contrast to CEO B and manipulators are payed by CEO A to increase this difference. In experiment 5 we have the same situation, but we evaluate the situation, where we do not know whether CEO A pays more bribes to increase the difference or CEO B pays more bribes to decrease the distance X.
I think experiment 5 is the closest to reality, because you do not usually know, who pays which bribes. I think Vitalik proposed also for experiment 3 to reward manipulators. He did not stated exactly how, but this is just up to the final experiment design. Vitaliks experiment proposal are targeting futarchy experiments. Your proposed experiments are more about prediction markets in general. I think experiment 6 is quite similar to experiment 2, besides the fact that the target to prediction is moving in experiment 6 and stable in experiment 2. The advantage of having something stable is that you can see the manipulation forces more clearly. So in 5 we run 3 again with the only difference that we do not know what manipulators are incentivised for. To get a step closer to actual futarchy we should do (7) run experiment 3 but revert the market with the lower average forecast. This is how it would be actually done in futarchy. So again: we predict the difficulty on block x and the difficulty on block x plus a constant y. All trades of the market that will on average predict a lower number will be reverted. This should make it significantly cheaper for a potential manipulator because they only pay if they succeed. Yeah, it makes only sense if we run experiment 5 as experiment 4 with the additional randomization of incentive direction. Running experiment 5 as experiment 3 is indeed pointless. If the manipulators are very confident that they can manipulate the markets, they can do this also for free. They are just manipulating the second market downwards and let the winning, higher market predict the right difficulty, then all their "bad" trades are reverted. (but the manipulators have to pay when they fail to manipulate). hey @BalsamoGian - good to have you here. An experiment of this sort works well only if done with big data, ergo, with pre-existing data. Otherwise its results will be both flimsy and unverifiable. I heard this argument a few times. I am not sure about it. Sure, ultimately you want to have much more data but even demonstrating it once is IMO a step forward. Lets assume you want to demonstrate that you have build a functioning plane and you are flying cross the English Channel - even doing it once demonstrates a lot. If we create a challenge where everyone who could brake the system could earn a significant price - and no one does - that demonstrates a lot as well in my opinion. The next step after those experiments would be to create a challenge where everyone could play against the futarchy mechanism e.g. a game of connect4 (for a small deposit). If they win they would get a significant price (e.g. $1million). If this challenge is open for a year and no one can beat the mechanism - that is of course still not a proof for the mechanism but a very strong indicator that it works as intended. Vitalik 's orginial proposal of the experiments, does not include market roll backs. But in the original futarchy concepts, there always need to be a market rollback. Example: If the futarchy want to decide between CEO candidate A and CEO candidate B and elects A by EBIT prediction in 3 years, then the market for EBIT with condition CEO B needs to be rolled back, because B will not be the CEO. I have read in several places, that people could do arbitrage between the two conditional markets. But if one market is rolled back, then there is simply no possibility of riskfree arbitraging, right? Hence a manipulation of the "probably not selected market" will be very cheap, right? It will only be expensive to manipulate the market, if you are manipulating the winning chain. market B : pays just ethereum_blockchain_difficulty / 1 trillion. Reward the manipulators proportional to the price difference (p_B-p_A)*k>=0, for some factor k>0. Roll back the market with with a lower average price at the end of the trading. In order to learn something meaningful, we would need to start these markets with a small k and increase it over time. It would be very interesting to see, at which k the manipulators break the futarchy. We are making progress with the experiment setup. We will also change the manipulator incentives to make the difference SMALLER. This is relevant for the second version of 3 (3b). A scalar market will be created predicting the difficulty in 2 weeks. To pick the upper and lower boundaries for this markets will will look at all historical 2 week period changes in % and select the boundaries in a way that in 98% of the historical adjustments the new difficulty would be within the boundaries. A second market will be created with the same boundaries but this event will resolve to a different outcome: the difficulty in 2 weeks + 5% of (upper bound - lower bound) (formally known as just +5). 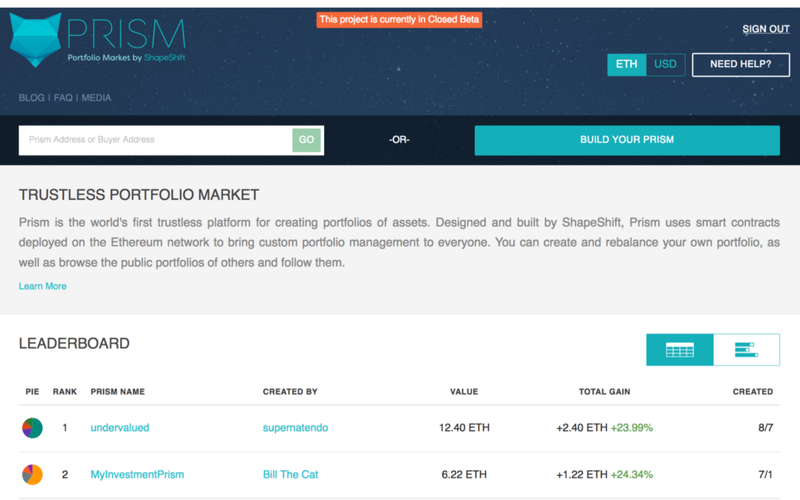 For both markets and LMSR market maker will be funded with 10 ETH. Another scalar event will be created that will predict the average price difference of the two markets with boundaries from 0% to 5% (WITHIN THE FIRST WEEK of trading). Short tokens from this event will be used to incentives a manipulator. 100 short tokens (max payout of 100ETH) will be auctioned of in a dutch auction. We plan to repeat this experiment at least 3 times. could someone explain which situation of the real life the experiment 3A is referring to? I totally get the 3B set up and that it is referring to the futarchy. I do not think that one can do risk free arbitrating in the experiment 3B. Just image I am buying a long in the market A and short in the market B. If market B is resolved and I bought the long in market A too high, I will just loose money. There is no risk free arbitrage. Hence, I think that in the experiment 3B manipulators will push the market predicting the difficulty nearly as high as the market predicting the difficulty + the 5 % without any risk. Ido not think that one can do risk free arbitrating in the experiment 3B. Yes - right. However - I also would not go so far to say the manipulators will push the difference to almost 0 because the closer they get to 0 the higher there is a chance to actually enforce the "wrong" decision and therefor "pay the price" of the manipulated market. I am very much in favor of this variant C - as I wrote above. As you said, this is the closed set up to the real world. We should run this experiment C several times, starting with a small manipulation reward and increasing the manipulation reward with each new experiment. I think, we will see that the market will exactly be manipulated in the iteration, when the manipulation loss is smaller than the manipulation reward. when the manipulation loss is smaller than the manipulation reward. I mean - this is the tough part. How big the manipulation loss is depends mainly on the liquidity and this should get higher if the price not correct. So IMO there is no upper bound for the "manipulation loss". Maybe it would also be nice to see how this liquidity changes if we vary the difficulty input difference between the two markets, which is currently proposed to be about 5%. But with a different setup, we counter this challenge and other attacks. We set up one market - lets call it "total-market" - predicting the market share price of the company in 2 years, unconditionally. We let this market trade for a little while and then close it. After the closure, we set up another market - lets call it "difference-market" - predicting a scalar difference between the two options between CEO A and CEO B for the share price of the company in two years. A high difference value >0 would predict a market favor of CEO A and a low difference value <0 would prediction a market in favor CEO B. Note that for this set up, we can execute both markets, the total- market and the difference-market. This is the significant difference to the proposed set up in Experiment 3B, where only one market can be executed. This is archived by changing the reference point : Our new reference point is the total-market score, which will be in between the price conditionally that CEO A is elected and the price conditionally that CEO B is elected.